What Doest Ye for Christ? “And it came to pass in the eighth year of the reign of the judges, that the people of the church began to wax proud, because of their exceeding riches, and their fine silks, and their fine-twined linen, and because of their many flocks and herds, and their gold and their silver, and all manner of precious things, which they had obtained by their industry; and in all these things were they lifted up in the pride of their eyes, for they began to wear very costly apparel. “And he selected a wise man who was among the elders of the church, and gave him power according to the voice of the people, that he might have power to enact laws according to the laws which had been given, and to put them in force according to the wickedness and the crimes of the people. “Now this man’s name was Nephihah, and he was appointed chief judge; and he sat in the judgment-seat to judge and to govern the people. “Now Alma did not grant unto him the office of being high priest over the church, but he retained the office of high priest unto himself; but he delivered the judgment-seat unto Nephihah. Alma understood a basic fact of life. There is no way of caring for the problems of mankind unless the great majority of them have been taught and subscribed their lives to a code of conduct which will keep them from falling into sin. The Lord, in the very beginning, established for our first earthly parents commandments and covenants which, if observed and obeyed, will keep us from the heartache and waste of unrighteous living. As we consider conditions in the world today, we should be asking the question, “How can we more effectively prevent the loss resulting from an overwhelming increase in spiritual, emotional, and physical problems now afflicting mankind?” It seems as if we are spending too much of our time and energy in repairing the damage of sin and not enough time in teaching them the Lord’s law as a foundation on which they can govern our lives. “And Jesus went about all the cities and villages, teaching in their synagogues, and preaching the gospel of the kingdom, and healing every [manner of] sickness and every disease among the people. The shortage of laborers in the Lord’s vineyard continues now, as it did in previous times. History has recently recorded the words of a prophet calling for every worthy and able young man to serve a full-time mission. The response to the prophet’s voice has been heartwarming. Many thousands of young men have listened to his clarion call and have come forward to fulfill honorable, successful missions, declaring the gospel of our Lord and Savior to ever-increasing numbers. Their harvest has been truly remarkable. As the numbers increase, the call of the prophet was again heard to open the doors of nations to the preaching of the gospel. We have all witnessed a miracle of the power of the united prayers of the Saints. Doors have been opened to the preaching of the gospel in nations never dreamed of or hoped for just a few years ago. Now the demand for increased numbers of full-time missionaries is greater than ever before. And again we issue the call for every worthy young man to heed the voice of the prophet to serve as a full-time missionary. We call on you bishops and branch presidents to see that every worthy and able young man has an opportunity to go forth into the mission field. Many of our young women have also served in the mission field. They have been some of the most productive missionaries we have. These valiant young men and young women go into the mission field bearing a strong witness of the mission of our Lord and Savior, giving true Christian service and teaching with faith and conviction. In addition to the need for more young men and women to serve, there is an urgent need for couples. Each time we visit a mission, the universal request is for more couples. The need is great for mature couples who are financially able, possessing strong testimonies and with reasonably good health. Their entry into the mission field adds strength and maturity to our missionary effort. With the opportunities to labor so plentiful, we need experienced couples to work with those newly converted to the gospel, making sure that the seeds which have fallen on good ground will be nourished and cultivated in order that the tares of a previous life-style will not spring up and choke out the good plants. You mature couples have years of experience in studying, teaching, and administering in the wards and branches of the Church. That experience is so desperately needed throughout the world to prevent the tender new plants from being overcome by worldliness. You are the ones who can build a firm root structure, which will support the new converts in the truths of the gospel in this life and help them become worthy to receive the blessings in the eternities to come. Listen to the experiences of those couples who have gone forth to serve. Sister Williams writes: “I am so proud of my husband. He really helps the young elders a lot. He gives them the support they need. President Williams is in the height of his glory when he can take them out on a discussion. Is this not the special time of decision for all of you young adults of full-time missionary age, and all of you special mature older couples? Have you ever sat down and contemplated what kind of entries you will prepare for your life’s history? Will yours be one comprised of slides and videos of worldly acquisitions of boats and motor homes, of travel and entertainment for personal gratification and amusement? 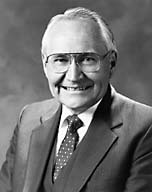 Or will your history express the joy you have experienced in preaching and teaching the message of our Lord and Savior to all who would hear your voice? May you decide, as Alma did, to go forth among the people, preaching the word of God unto them to stir them up in remembrance of their duty, to pull down the pride, craftiness, and contentions among them, that they may be reclaimed and saved by you in bearing down in pure testimony to them. Bishops and branch presidents, only one additional missionary couple called from your ward or branch would mean an increase of over eight thousand couples in our missionary force. Oh, how they’re needed! That this is His work in which we are engaged is my solemn witness to you in the name of our Lord and Savior, Jesus Christ, amen.